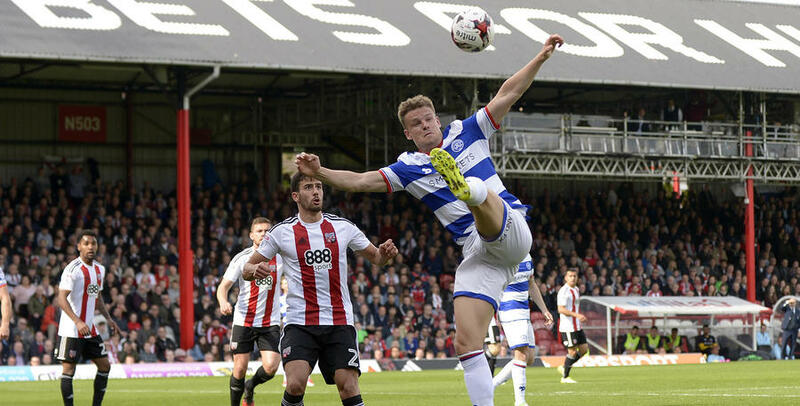 QPR went down 3-1 at Brentford with the game decided during a frantic four-minute spell mid-way through the second half. The hosts took the lead through Yoann Barbet on 31 minutes, and extended that advantage on the hour through a Jota penalty after Joel Lynch brought down Maxime Colin. But just two minutes later that deficit was halved when Lynch brilliantly headed home Luke Freeman’s centre. Unfortunately for Rangers they had no time to build on that, as the Bees went straight down the other end to restore their two-goal cushion when Jota netted his second of the afternoon to make it 3-1. Ian Holloway made four changes for the short trip to Griffin Park, with Nedum Onuoha, Sean Goss, Conor Washington and Matt Smith coming into the side at the expense of Jack Robinson, Michael Petrasso, Ryan Manning and Idrissa Sylla. The R’s went into this London derby looking to address a disappointing run of five straight defeats, while Brentford had picked up 13 points from their previous six fixtures. Alex Smithies lined up in goal behind a back four, from left to right, of Jake Bidwell, Joel Lynch, Nedum Onuoha and James Perch. Luke Freeman began on the left wing, with Massimo Luongo and Goss in the centre of the park, with Jamie Mackie on the right. Washington and Smith led the attack for the R’s. The first chance of the game fell to QPR in the eighth minute when Freeman’s far post corner was met by Lynch, but as he tried to head the ball back across the six-yard box, the Bees were able to clear. 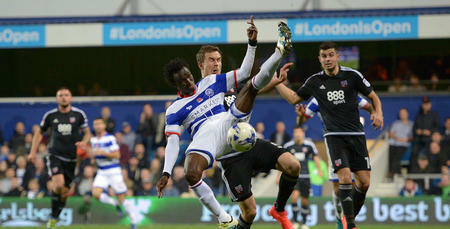 Moments later, Barbet pulled off an excellent sliding block to deny Smith from 12 yards as QPR settled into the game. At the other end of the pitch, Lasse Vibe jinked his way behind the R’s backline in the 12th minute, but Smithies was alert to the danger and raced off his line to smother. Vibe once again highlighted the threat he poses in the 15th minute when he turned and shot from 16 yards, but his effort fizzed into the side netting. Less than 60 seconds later, QPR came close to opening the scoring when Freeman’s free-kick from the right was met by Smith. As the ball headed towards goal, Lynch diverted it and looked to have given the R’s the lead, but Bees stopper Daniel Bentley pulled off a stunning save, diving to his right. Washington had a great chance to put QPR in front when Mackie’s flick-on fell invitingly into his path, but the Northern Ireland international’s half-volley flew wide of the upright from the edge of the box. But in the 31st minute it was Brentford who took the lead through Barbet. Jota’s corner from the left fell to the Bees centreback who had time to chest the ball down before slamming it into the back of the net. The goal led to a period of sustained pressure from the hosts who would have doubled their lead through Rico Henry, but for a five save from Smithies, while Jota broke down the right but saw his shot fly just over the Rangers crossbar from 12 yards. But just before half-time, the R’s had a great chance to level. Freeman did well on the left to win possession before picking out Smith with his delivery. The R’s frontman headed goalwards but was denied by another good save from Bentley, while Washington saw his follow-up fly wide. And in stoppage time, Luongo nearly scored an absolute stunner when he took aim from 35 yards but his effort crashed off the crossbar with Bentley beaten. 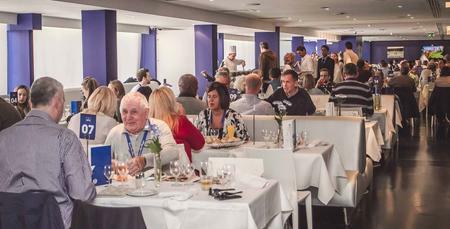 The half-time whistle blew just as QPR were enjoying their best spell of the half. Holloway made a change at the break, with Kazenga LuaLua replacing Goss. The Brighton loanee played on the left wing, with Freeman moving into the middle to partner Luongo. Ten minutes after the restart Washington thought he had levelled matters when he headed beyond Bentley at the far post from Freeman’s corner, but the ball came back off the underside of the crossbar and despite Rangers’ claims the ball had crossed the line, the referee waved play on. Washington, in particular, was adamant he had scored. But just as Rangers looked to be working their way back into the game, Lynch conceded a penalty on the hour when he brought down Colin inside the box. Jota stepped up and put Smithies the wrong way to double the hosts’ advantage. Rangers’ responded in brilliant fashion, however, with Lynch making amends for his error by heading Freeman’s free-kick brilliantly beyond Bentley just two minutes after Brentford had doubled their lead. But it took the Bees only two further minutes to restore their two-goal cushion, with Jota brilliantly bringing the ball down on the right, cutting inside Lynch and sliding the ball under Smithies to make it 3-1. Holloway made a double substitution, with Idrissa Sylla and Yeni Ngbakoto replacing Mackie and Washington respectively. But it was Brentford who continued to press, and Jota almost made it four when he broke clear once more, but was this time denied by an excellent Smithies save. On 75 minutes LuaLua showed a clean pair of heels to Josh Clarke down the left before picking out Smith with an excellent centre, but the R’s forward’s header was comfortably gathered by Bentley. Brentford were playing some excellent, attacking football as they looked to increase their lead but it was QPR who next went close. Freeman stormed through the middle of the park before picking out Sylla with a clever through-ball. As Bentley raced off his line, Sylla dinked the ball over him but it drifted just wide of the far post. In truth, Brentford deserved their victory and the R’s will now look to get back on track when they host Nottingham Forest in their final home game of the season next weekend. 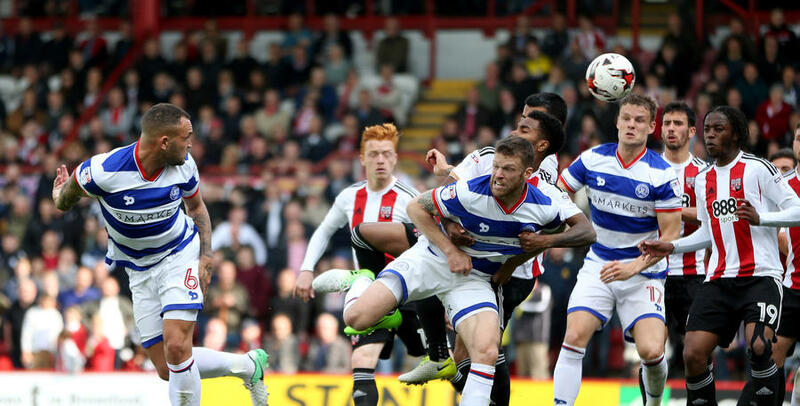 WATCH all the main moments from Griffin Park as QPR lose 3-1 against their local rivals. 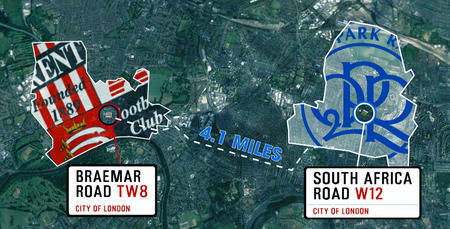 QPR v Brentford: 'R' you ready for derby day?